Dresden Files Cooperative Card Game is a card-based strategic game that situates you and up to 4 friends in the eponymous book series, taking on the role of one or more protagonists. Wait, that’s not Paul Blackthorne! As a fan of the books, the use of the intellectual property (IP) hits all of the right spots for me. 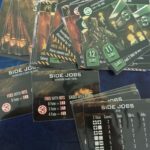 The base game provides you five book scenarios (including the ever-random Side Jobs deck), as well as five characters. The components are of average quality, and that is not meant as a slight. They are fine, just not anything that stands out positively or negatively. On the other hand, I am a big fan of the artwork. I agree with other reviewers that it does get a bit boring with having repetitive artwork, but for me, that’s mostly because I would appreciate seeing more of it. Overall, the gameplay is challenging and plays out as a fun-themed puzzle with a bit of randomness tossed in. 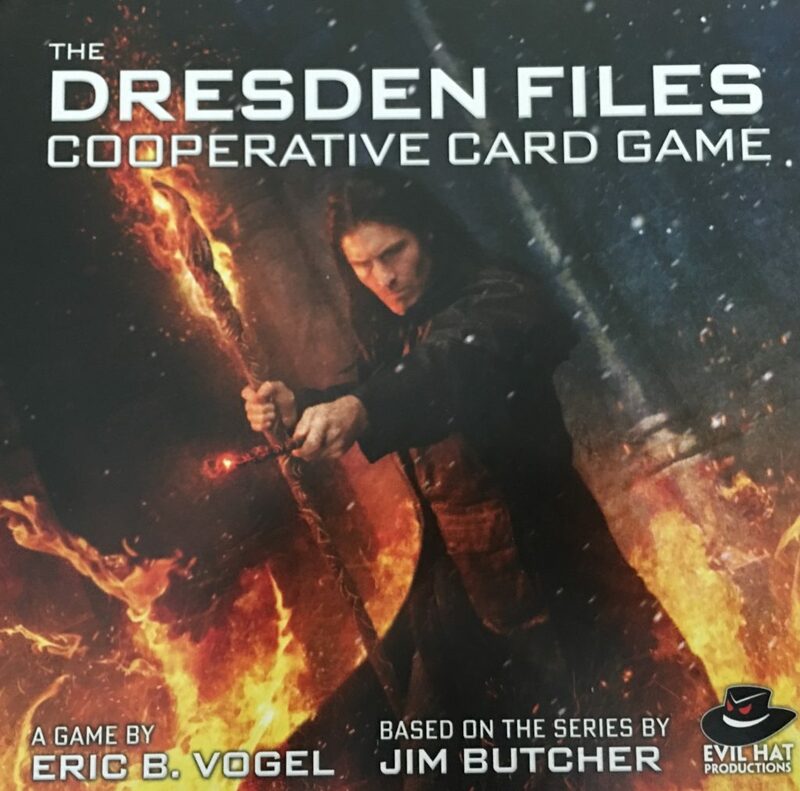 I enjoy the game on solo–I especially enjoy the app as it lets me get games in when I may otherwise not–but some of that enjoyment is derived from being a Dresden Files game. The game box is nice quality and big enough to hold any future expansions you purchase. 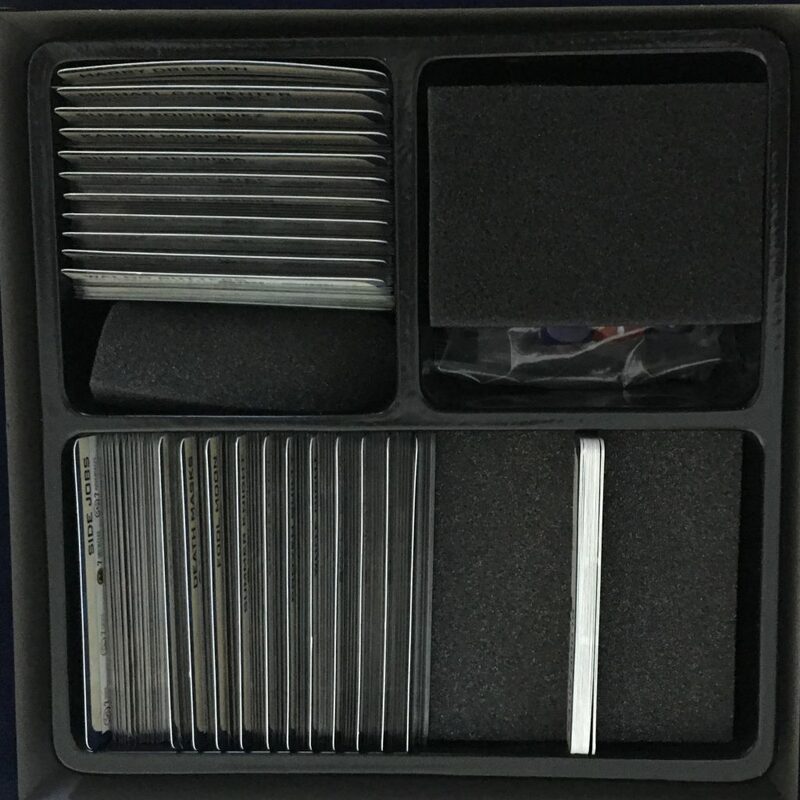 The only complaint from some is the inability to put sleeved cards into the box; however, I have been using KMC Perfect Size soft sleeves without any problem. 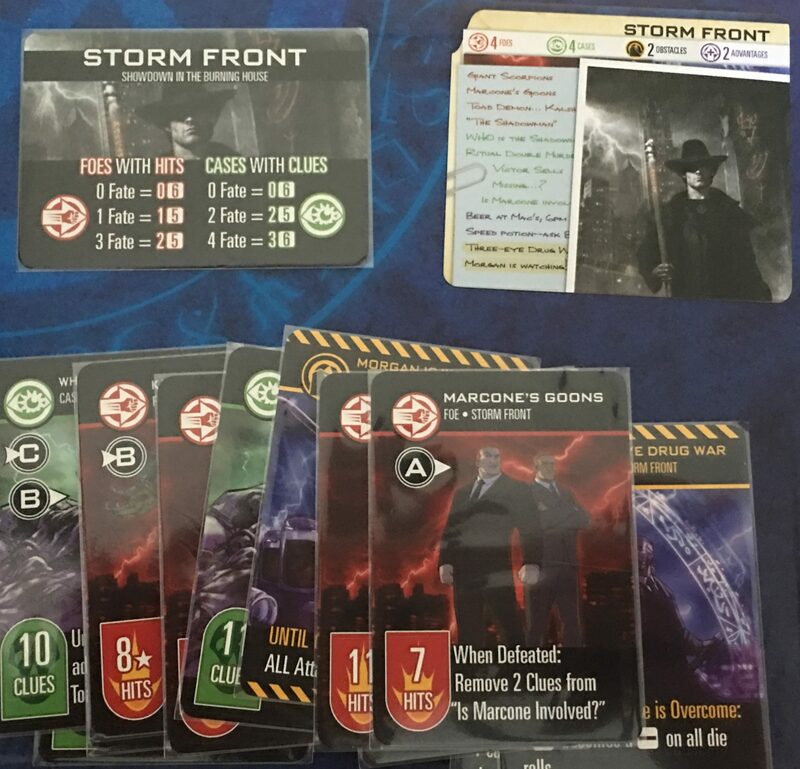 The game consists of two types of decks: character decks (cards you play) and book decks (scenario you are trying to overcome). 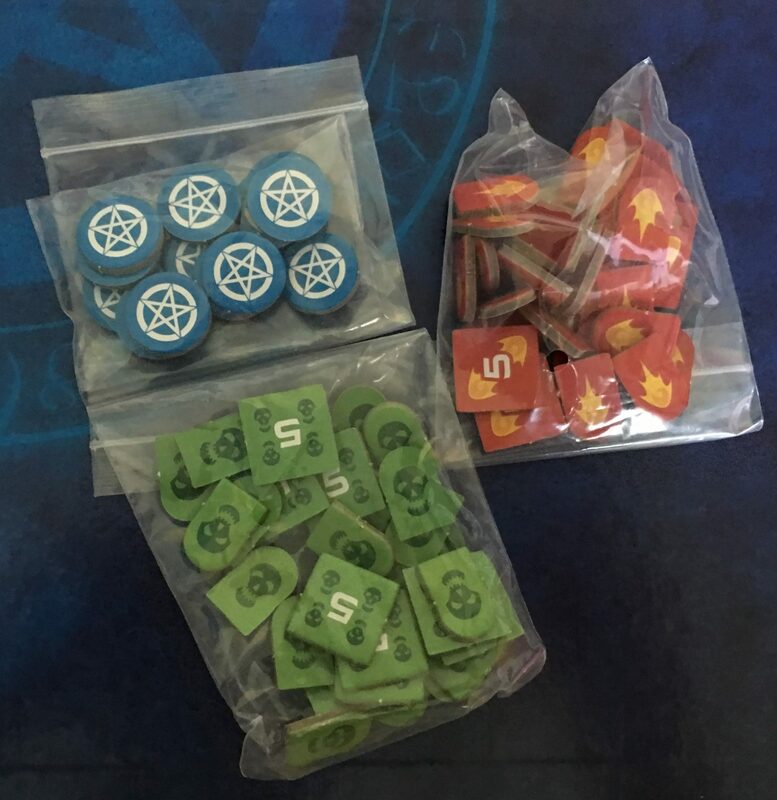 Game setup, especially if you are using the game board, is rather quick and straightforward. You will need to select the book scenario (or Side Jobs) you will be encountering, and then select the character decks you will be using. Shuffle each deck–there aren’t many cards, so just a few shuffles should be enough–and then place create a 6×2 grid with the book deck (again, the game board gives you outlines where to place cards); for the character decks, you will draw cards based on the number of players. If you have obstacles at the end of the row, then you should swap them with the card in the 5th row slot. If an obstacle is also in the 5th row slot, then you will need to push the obstacles ahead 1 slot and move the card in the 4th slot to the 6th slot. Now you are ready to start investigating, attacking, and planning for showdown. Playing the game is rather straightforward. Discard a card for fate, which allows you to use your character’s talent. Use your character’s stunt (only available once per game). From there, each player takes their turns until the pre-showdown phase of the game ends. The showdown can be triggered one of two ways: the active player has no cards to discard for fate or the active player elects to enter the showdown. I absolutely love the theme! One of the complaints of the game is its difficulty, which is in part related to randomness. The ordering of the cards can greatly impact your group’s ability to win; the showdown rolls don’t always go your way. But in my mind this is all related to the theme. 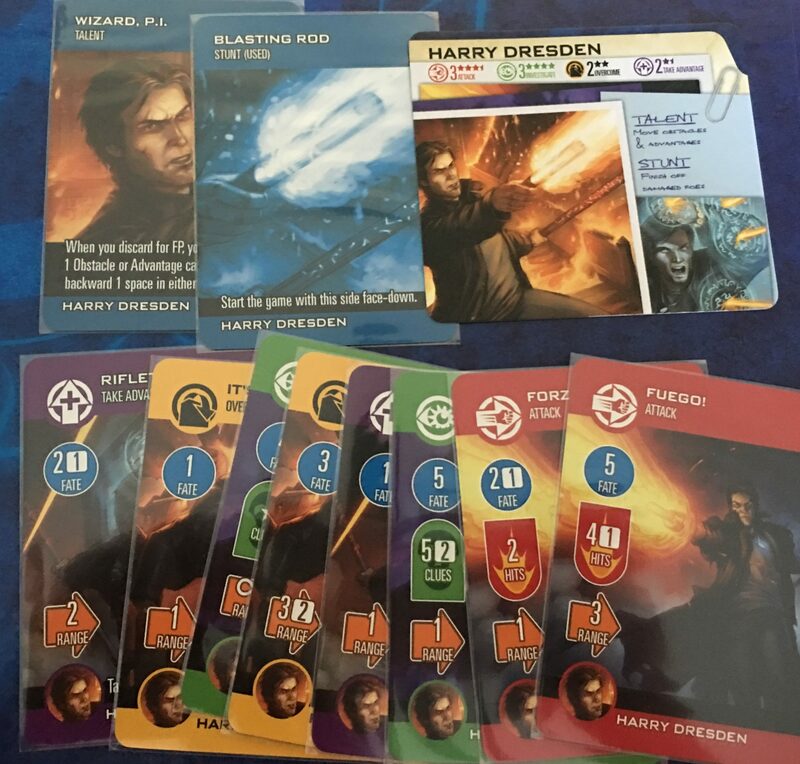 In the Dresden Files series, Harry and his friends are constantly on the verge of failing. And, sometimes they even do. On top of that, the character cards do a good job encapsulating each person–or animal in the case of Mouse if you seek out the kickstarter exclusive. And for those familiar with the books, the book deck cards align well with each story. 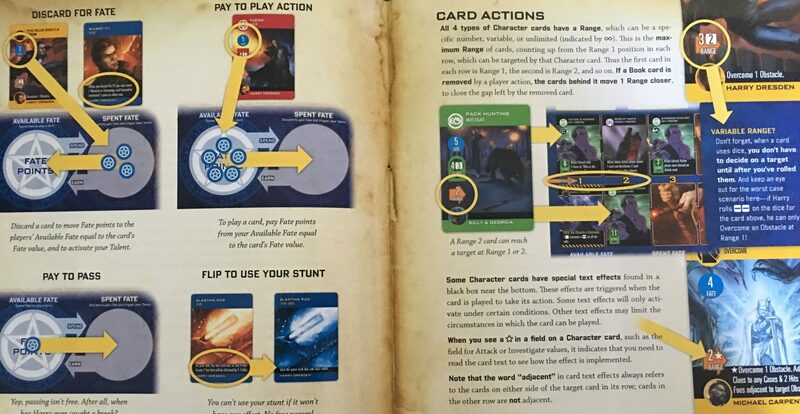 While you will not necessarily complete the game in the same order as the respective book–though the conditions on some cards actually require you to do so–you can to some degree “feel” the story playing out. Though the artwork is considered a negative (including to a smaller degree by me), it also helps provide some thematic elements. While understanding of why the artwork is repetitive (hint: $$$), having different artwork for each card would make the theme even more immersive. No, you didn’t magically get warped to a baseball blog. 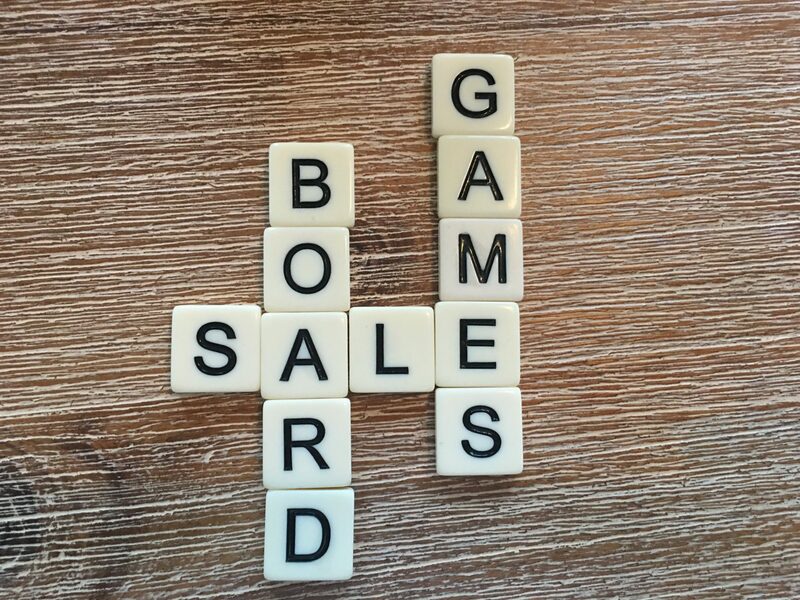 Pace of play, as all games know, is just as important in our hobby. Under theme, I mentioned the less than ideal repetitive artwork. Well, one advantage is that it makes identifying the different cards (investigate, attack, etc.) easy. Also, if you follow the instructions your group will be working with limited information throughout the game. Not only this an added challenge, it also should expedite the game since players won’t all be attempting to work together on each turn. Simple comments like: Do you have an investigate card? or Can someone take care of this obstacle? can be answered quickly and allow for quick movement through turns. Last, each game consists of only 12 cards for the book deck. This is enough to provide a challenging puzzle without creating a prolonged game. 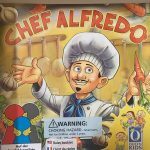 For someone who likes multiple experiences during a game night, being able to generally complete a game in around 30 minutes is a great advantage. 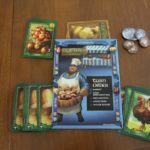 I will limit this review to just the base game, but I do want to mention that for a relatively low cost you can expand the playability by adding 2 new characters, 2 new books, and some side Side Jobs cards for only around 8 bucks per bundle. 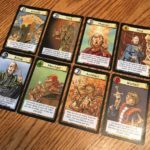 See end of post for a list of available expansions. Even within just the base game, though, you have five character cards and five book (including Side Jobs) decks. Not quite infinite, but it does provide a lot of configurations, giving you a good bit of replayability even if you just count playing each configuration. 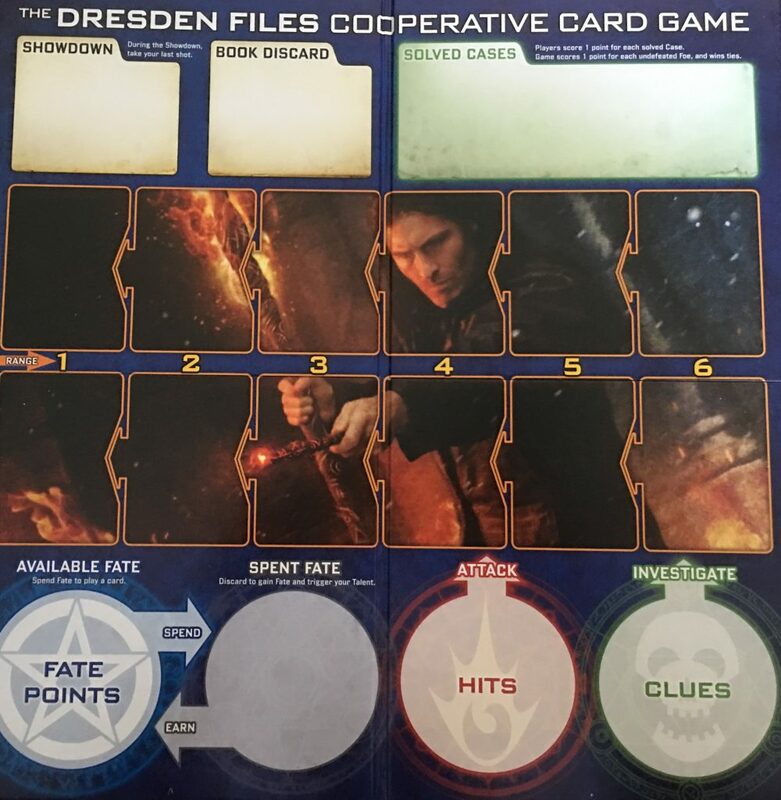 Add in that some book/character card configurations are harder than others, and you have a game that can keep you busy for many gaming sessions. Ok, so I know the instruction booklet is not the make-or-break thing for purchasing a game. But, they really did do a good job on the instructions. Nice diagrams and clear explanations.